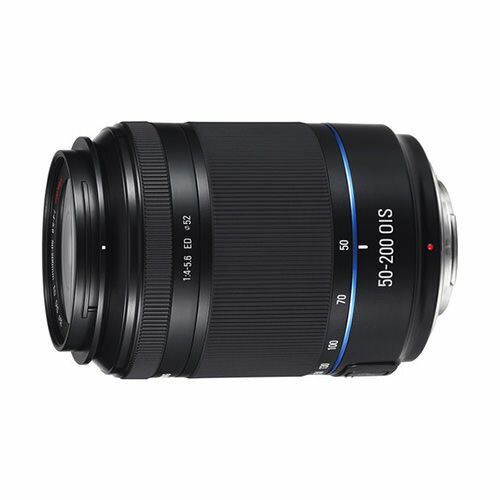 Lens Description: Samsung\'s 50-200mm f/4.0-5.6 ED OIS II Lens (For NX Cameras) gives you a 4x telephoto zoom (equivalent to 77-308mm in 35mm format) with a built-in lens-shift image stabilizer to ensure that photos are crisp and sharp, even at the longest telephoto setting. The internal focusing system means that the lens length doesn\'t change when focusing, so polarizing filters (for instance) don\'t need to be adjusted because of rotation. This lens is an i-Function lens, which accesses your camera\'s manual controls (such as shutter speed, aperture, ISO, etc.) right from the lens itself--you never have to take your hand off the lens or your eyes off the action to make changes. 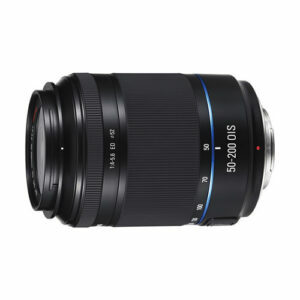 This lens is compatible with NX10 and NX100 cameras.